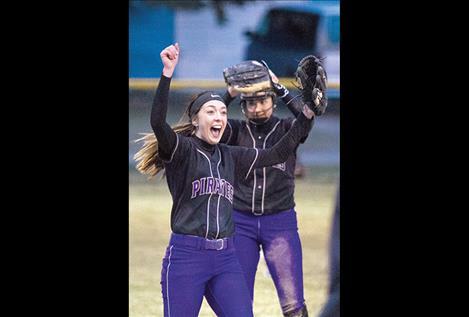 Polson Pirate Kaelyn Smith celebrates the win over Libby. 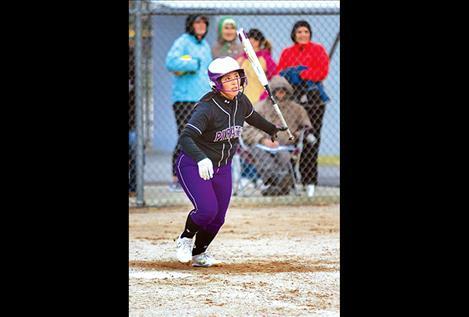 Polson Pirate Kaylanna DesJarlais watches as her ball drops for a base hit. WOLF POINT - Jeff Kent, a familiar face on the basketball courts in northeast Montana and across the state, was recently honored as National Federation of State High School Association Official of the Year for boys basketball. 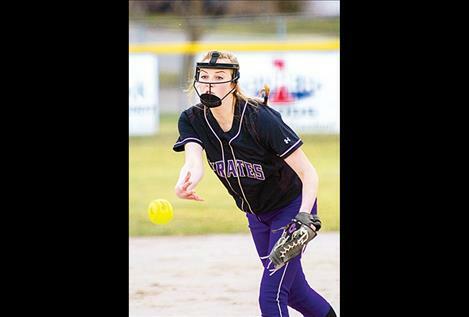 Mark Beckman, the executive director of the Montana High School Association, recently announced this year’s honorees. Nominees for this award must exemplify the highest standards of ethical conduct, moral character and carry the endorsement of their respective state high school association. Kent has been reffing for 17 years. Kent said he is very humble and happy that he has been selected for official of the year. Throughout his 17 years of referring, he has worked and reffed with some really great officials. Three guys that helped Kent when he started out were Dennis Erickson out of Vida, Spike Bighorn out of Brockton and Mike Erickson out of Hardin. Kent said, “There is a really large referee shortage throughout the state,” quipping that, when he is reffing, he really sees a lot potential refs in the crowd, as they tend to help them ref. If anyone is really interested in becoming a ref, Kent is always willing to provide information. Kent would not be able to go all over the state without the support of his wife, Heidi.